Unbelievable!!! Sale at Stiletto Moody!!! to win L$25,000 and other prizes. The ultimate juxtaposition – such expensive high fashion – such naughty implication. the hottest look of the Day…..
HOW MUCH WILL YOU SAVE? HUGE! and win big doing so…. 2) One submission per shoe only. Although for the Black Look of the Day contest there are many black shoes thus you can do many submissions. 3) Re-submissions accepted until close of contest – just post new contest Pic. Come on fashion photographers…Men theywant your pics too. Impossibly High heels and the BAREfoot to wear them. IS GROUP MEMBERSHIP REALLY CLOSING? YES. Before Stiletto Moody launches cosmetics the group membership will be closed. PREVIEW discount. 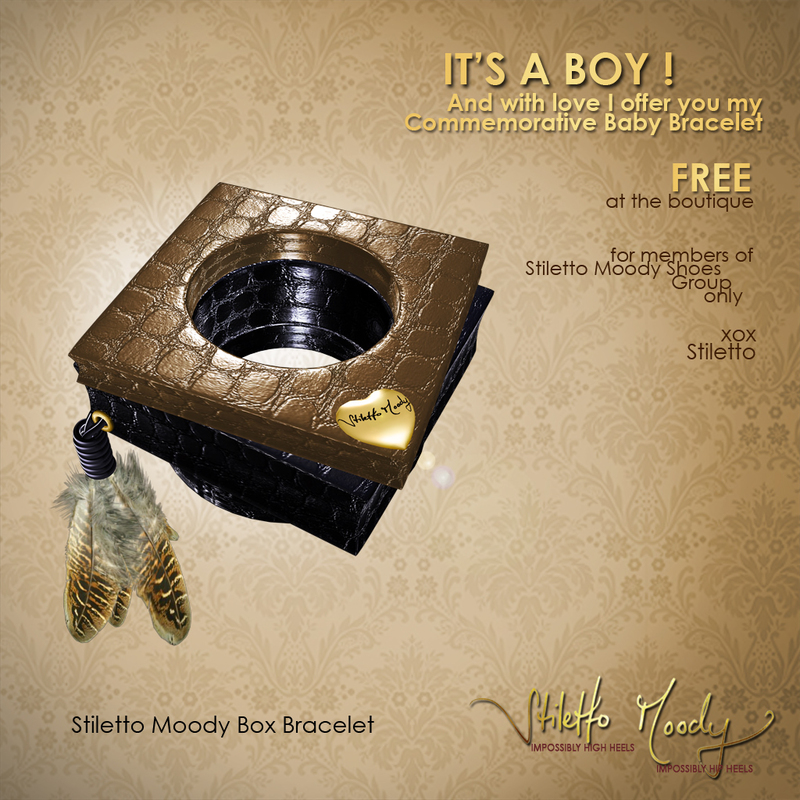 So join Stiletto Moody Shoes now. Finally don’t forget the free gifts!!! This entry was posted in Fashion and tagged Blog, Blogger, Gift, Look of the Day, Model, Modeling, Outlet, sale, Stiletto Moody, Wicca Merlin. Bookmark the permalink.